TAX TIME SPECIAL!! 2007 TOYOTA SEQUOIA 2WD SR5 with 143,788 miles. THESE TOYOTA SEQUOIAS ARE LEGENDARY FOR THEIR DEPENDABILITY!! DON'T LET THE MILES SCARE YOU AWAY FROM THIS ONE BECAUSE IT RUNS GREAT!!!! 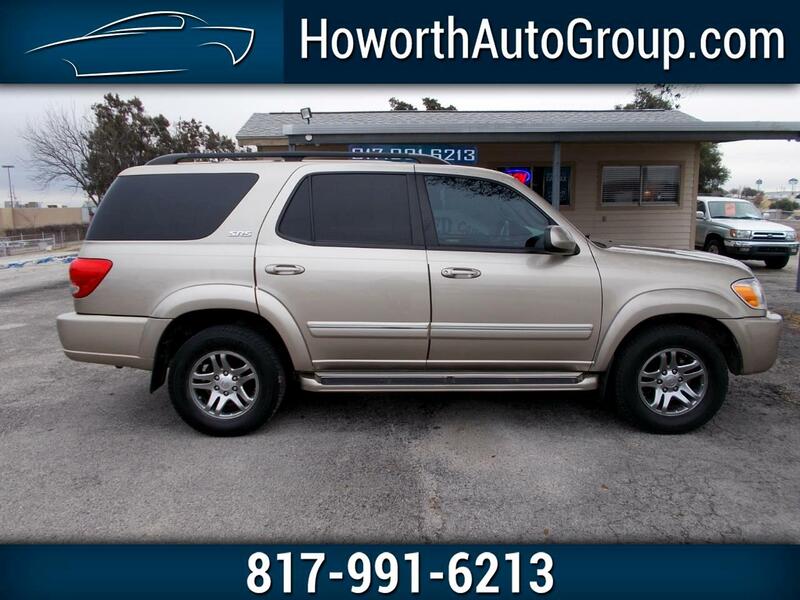 This TOYOTA SEQUOIA is equipped with a powerful 8 cylinder engine that runs very well, cold a/c, warm heat, power steering, power brakes, power windows, power locks, power mirrors, power sunroof, tan leather interior, AM/FM radio, CD player, GOOD tires and much more. THIS TOYOTA SEQUOIA WORKS VERY WELL. FOR THIS WEEK ONLY (4-18-19 to 4-25-19) THIS CAR IS ONLY $1500 DOWN!! CALL QUICK BEFORE IT IS GONE!!!!! Call Amy Howorth at 817-991-6213 or go online at howorthautogroup.com to apply online today.